Intra-Cytoplasmic Sperm Injection (ICSI) involves injecting a single sperm directly into an egg in order to fertilize it. 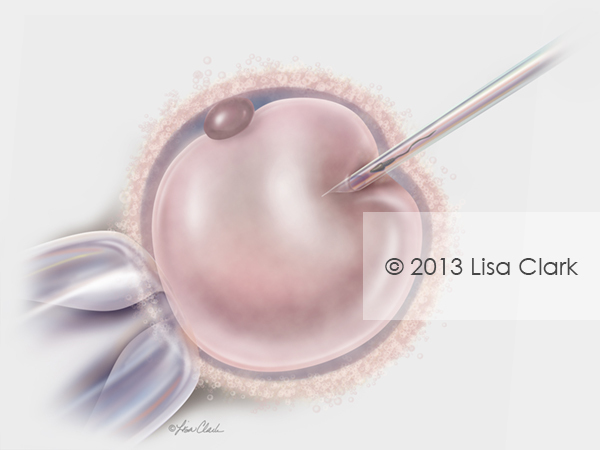 The fertilized egg (embryo) is then transferred to the woman’s uterus. This illustration was created for a medical device manufacturer.